The Austin area is surrounded by incredible parks and outdoor recreation areas. With rolling green meadows, wide open spaces, giant cypress and oak trees throughout the countryside and along creeks, limestone cliffs, rocky riverbeds, rivers, lakes, and caves, Central Texas has some of the most diverse landscapes and ecosystems in the state. Here are a few of our favorite parks showcasing the best of the Hill Country that surrounds Austin. The iconic Pedernales River flows through Texas Hill Country west of Austin. With limestone cliffs, giant boulders, waterfalls, and a limestone river bed, the river is one of the most scenic in the state. 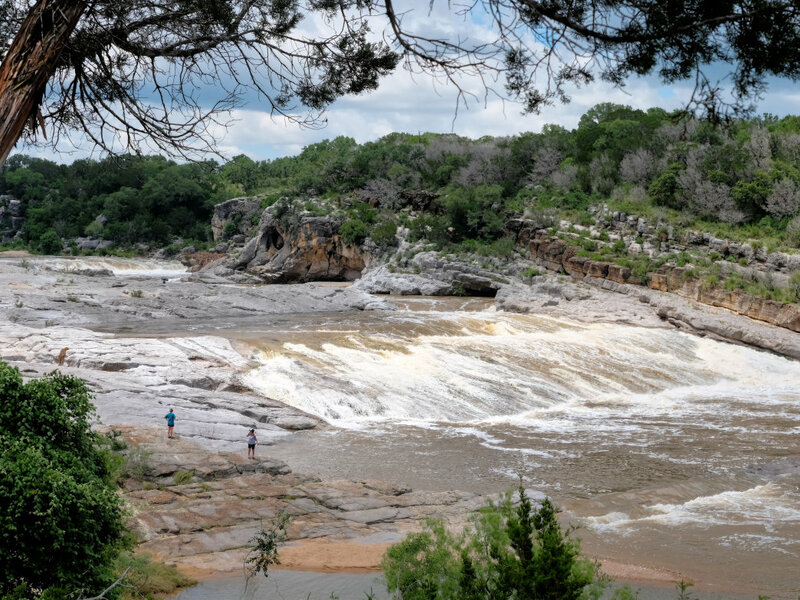 The namesake Pedernales Falls State Park offers miles and miles of hiking trails, ranging from easy hikes to incredible overlooks to backcountry trails that are best suited for experienced hikers. The waterfalls are one of the park’s biggest draws, but visitors can also geocache, birdwatch, mountain bike, stargaze, camp, and, of course, swim (but only in designated areas). With many activities and land uses, Pedernales Falls State Parks makes creating a weekend of an adventure easy. Just 13 miles from downtown Austin, McKinney Falls State Park is a great escape that’s just minutes away. 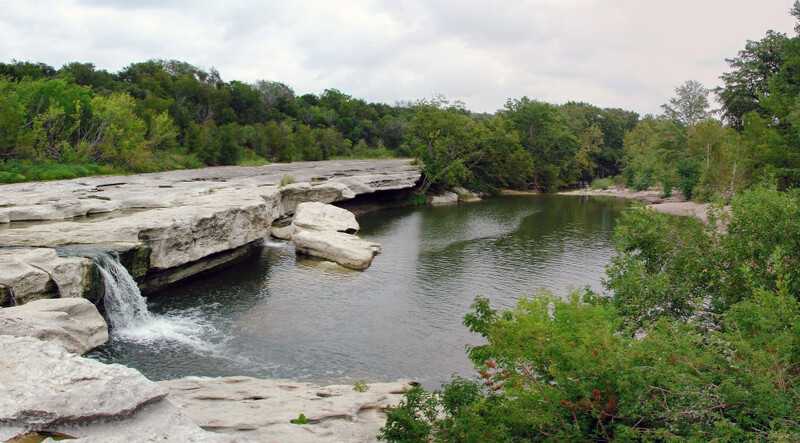 Onion Creek flows through the state park, creating McKinney Falls and beautiful pools of water among giant boulders. 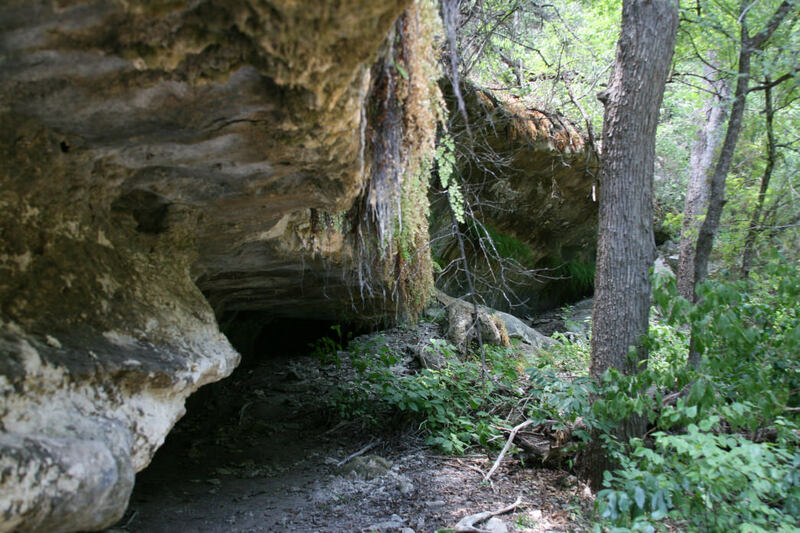 There are nine miles of hiking trails within McKinney Falls State Park, allowing for shorter and longer strolls among the land. Other activities at the state park include fishing, bouldering, biking, and geocaching. The park also offers camping, with all 81 campsites featuring electricity and water hookups. With a forest of tropical palmetto plants, towering trees, and green swamps, Palmetto State Park looks like land you’d find in the Deep South. Instead, it’s in the heart of Texas, just an hour southeast of Austin. The landscape and terrain is very unusual—and the only place of its kind in the state of Texas. With the number of marshes and swamps, water activities are common here, in particular, tubing, canoeing, and fishing. On-land, you can explore several miles of trails by foot or on bike. Even more, experienced paddlers can access Palmetto State Park by way of a seven-hour journey from Luling, Texas (home to the annual Watermelon Thump). 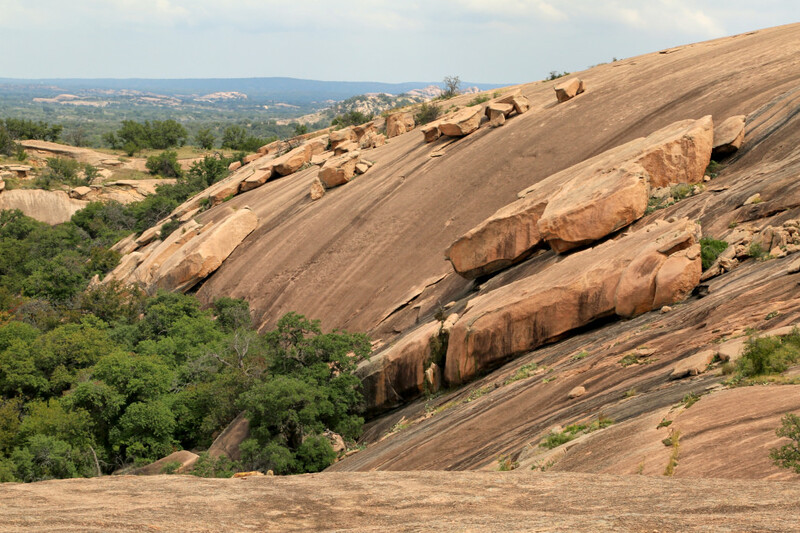 Enchanted Rock is a giant pink granite dome that seems to rise out of nowhere, with Texas Hill Country’s quintessential green hills surrounding the massive rock formation. This unique element in the midst of a much different landscape has attracted visitors for thousands of years. Because of its position high above the surrounding lands, Enchanted Rock is a wonderful place to watch sunrises and to stargaze. With camping allowed, it’s a wonderful place to spend the day hiking *and *call it a night. There are 11 miles of trails, including the direct trail to the dome’s summit, but many more miles that are less frequented as well. About 30 miles east of Austin, Bastrop, Texas, has many unique features, in particular its loblolly pines, which area also known as the "Lost Pines." These pines have long been an important feature of this landscape, much of which was destroyed in a devastating fire in 2011. Nonetheless, many pines survived and the park has begun many restoration efforts since then. The 12-mile Park Road 1C allows visitors the opportunity to drive or bike directly through the state park, which gives a great glimpse into the unique vegetation. The park also features seven miles of hiking trails, fishing on Lake Mina, and has a pool that’s open May through September, which is a great for a camping weekend. Emma Long Metropolitan Park is a 25-minute drive from downtown Austin, but it’s still inside of city limits—making it one of very few places folks can camp within the city. Located on Lake Austin, the park has a plethora of amenities for visitors, ranging from volleyball courts to fishing piers to 12 miles of hiking and biking trails. Day-use areas make it a great place to spend a sunny day, whether you prefer picnicking, swimming on the sandy shores, walking the park’s trails, boating on the Colorado River. Colorado Bend State Park is bisected by the Colorado River, and it features countless activities on both the land and water. With 35 miles of multiuse trails, primitive camping, fishing, swimming, paddling, birding, caving and even guided tours, visiting this piece of land is worth the 1 hour and 45-minute drive. Visitors can explore the park and the Colorado River on their own, or hire a guide to visit the park’s Gorman Falls or its underground caves. Offering much more than the average park, Colorado Bend State Park offers terrain with an opportunity for wild adventure. Reimer’s Ranch offers world-class climbing and so much more. Nestled along the same tract of land where Hamilton Pool also resides, Reimer’s Ranch is also close to the Pedernales River. 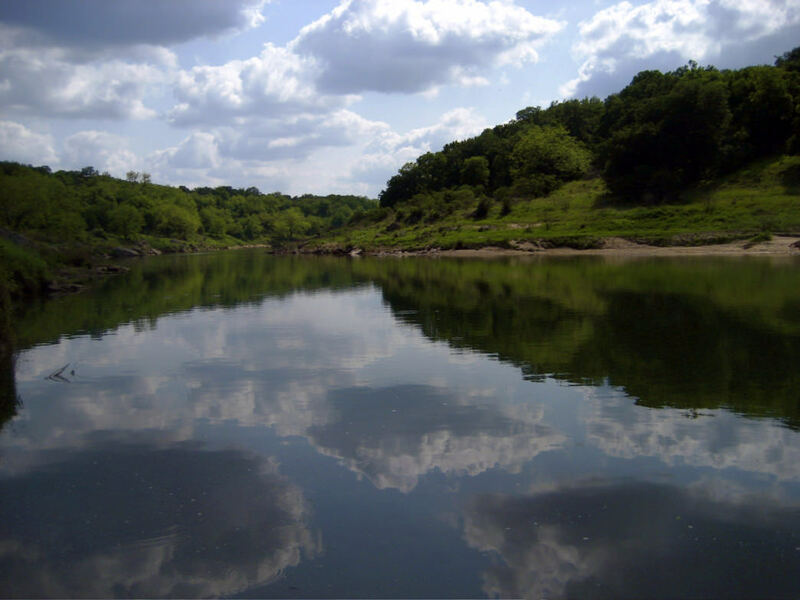 There are trails for hiking, mountain biking, and equestrian use, while guests can also swim and fish in the Pedernales River. Unique to Reimer’s Ranch, however, is its observatory equipped with two large telescopes and monthly bird walks the first Saturday of each month from April through October. Insider’s tip: The state parks listed above all offer a Ranger program, in which guides lead programs that dive into everything from geocaching to birding. You’ll also find Junior Ranger programs that gives kids the opportunity to explore and learn in the state parks. You do *not *need a license to fish from the shore within a state park—many of also offer equipment to lend out. Originally written for Austin CVB.